In this video, Andy Burgess – Google’s Head of Retail EMEA highlights the importance of the zero moment of truth in social commerce. I invite you to watch this youtube video recently uploaded by the Google Enterprise team on the Zero Moment of Truth, ‘Atmosphere London 2014 – Andy Burgess – Interview‘. Andy Burgess – EMEA Head of Retail & Enterprise Sales Lead at Google, explains the “zero moment of truth” in the customer journey and why retailers must be present at every stage – including on mobile – to win sales. 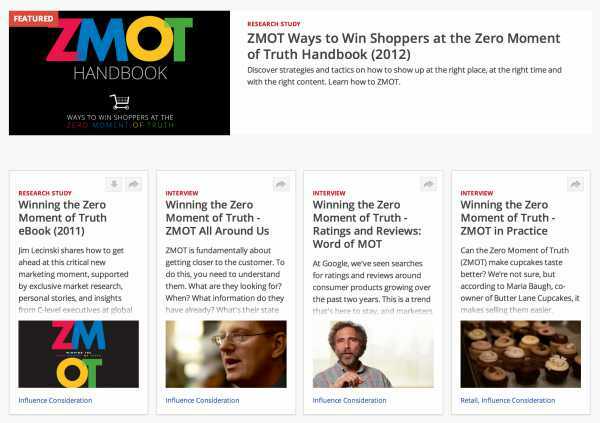 You will find a broad selection of articles, reports and videos about the Zero Moment of Truth (ZMOT), a social commerce concept introduced by Google back in June 2011, in the dedicated collection on ThinkwithGoogle.com. I remember vividly when Google introduced the ‘zero moment of truth’ concept back in 2011. I was then Sales Director Financial Services EMEA for Bazaarvoice, one of the leaders in social commerce and a premier voice of the customer solution provider (customer reviews, customer stories).